Front Row: Jeremy Burnside, Samantha Glass, Gabrielle Post, Nathaniel Stumph, Alexis Cozart, Emily Biltz . Back Row: Jim Powers (head coach), Micah Swartz, Luke Lengel, Justin Below, Jacob Kelley, Luis Ramos, Stephen Mendak, Ian Hamilton. Missing: Vicki Guggenbiller (assistant coach). February 14, 2019 – – The academic honors keeping rolling in for the Lorain County Community College Cross Country teams, as both the Men’s and Women’s teams earned NJCAA Cross Country Coaches Association’s “Cross Country Scholar All-American Team” status for the Fall 2018 Season. Men’s CC team members earned an impressive 3.63 G.P.A. and the Women’s Team carried a 3.54 G.P.A. for the Fall 2018 Semester. This is the third time the Commodore Men’s team has been honored – earning the honors in 2017 and 2014. The Women’s team earned back to back academic awards, as they were also recognized for their achievements in the classroom in the 2017 season. Men’s Team: Justin Below (Lorain/Brookside); Jacob Kelley (Amherst/Amherst Steele); Nathaniel Stumph (North Olmsted); and Micah Swartz (Lakewood). Women’s Team: Alexis Cozart (Elyria); Samantha Glass (Sheffield Lake/Brookside); Gabrielle Post (Avon Lake). Two team members have already signed on to further their academic and running careers at four-year schools. Swartz will be competing for the University of Toledo and Post has signed a national letter of intent to continue her career at Ursuline College. Congratulations to both teams and all the athletes for their outstanding accomplishments in the classroom! January 14, 2019 — Lorain County Community College Cross Country runners, Gabrielle Post (Avon Lake) and Micah Swartz (Lakewood), have decided to continue their collegiate running careers at four-year institutions. Post, a two-time All-Region 12 selection and two-time NJCAA Cross Country Coaches Association Academic All-American Scholar, signed her national letter of intent to run for Ursuline College. The number one runner on LCCC’s women’s team brought home a 19th place finish at the NJCAA DIII National Championships in 2017, leading her team to a school best 5th place finish at Nationals. Post placed 26th in the 2018 Nationals, again leading her team to a strong 8th place finish. Swartz, who earned All-American Honors in 2018, with a 9th place finish at NJCAA Men’s Nationals, will continue his education and running career at Toledo next season. Like Post, Swartz was a two-time All-Region 12 selection, as well as a two-time NJCAA Academic All-American. The Lorain County Community College Commodores competed in the NJCAA DIII Cross Country National Championship Meet in Westfield, Massachusetts on Saturday, November 3, 2018. The men finished 18th overall in a very competitive field – the men were only 36 points out of 10th place. Micah Swartz (Lakewood) finished 9th overall to earn All American honors for Lorain County Community College. The Lorain County Community College Commodores competed at the Oberlin College Interregional Rumble Cross Country meet on Saturday, Oct. 14. The men finished 26th out of 27 teams, the women did not field a complete team this week. 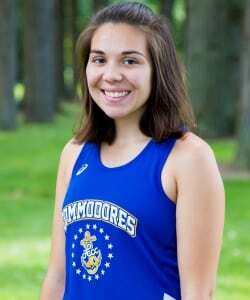 Gabrielle Post (Avon Lake) again led the Commodore women, finishing the 6K course in 26:24, good for 206th place out of 313 runners. On the men’s side, Micah Swartz (Lakewood) finished the 8K course in 28:04, which landed him in 120th place out of 308 runners. Five of LCCC’s eight runners on the men’s team set season best times in the race. With the regular season now complete, the Commodores now turn their attention to the NJCAA DIII Region 12 Meet to be held in Lansing Michigan on Saturday October 27. 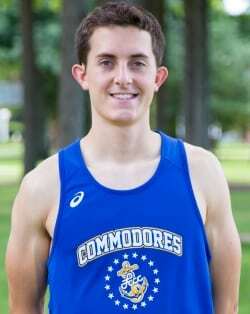 The Lorain County Community College Commodores competed in the All Ohio Collegiate Cross Country Championship Meet held Saturday, September 29th . The meet was hosted by The University of Akron at Silver Creek Metro Park in Norton, Ohio. The men’s team finished 36th out of 39 full teams, while the women finished 37th out of 38 teams. The men were led by sophomore Micah Swartz (Lakewood/Lakewood), who completed the 8K course in 28:25, good for 214th place out of 324 runners. The women were paced by sophomore Gabrielle Post (Avon Lake/Avon Lake) who finished in 268th place out of 307 runners in the women’s 6K race with a time of 27:53. The Commodores will be back on the trails October 13th at the Oberlin College Interregional Rumble. The Lorain County Community College Commodores competed at the Columbus State Invitational on Saturday, September 22. The team ran against Capital University, Columbus State, Wilberforce and a Capital University Alumni team. Both men and women ran a 5K. Capital University was the only complete Women’s team. Gabrielle Post led the way for the Commodore women, finishing with a season best 22:29 to place 4th overall. Jeremy Burnside was the top finisher for the men, covering the 5K distance in 18:39. The LCCC men finished 4th out of 5 teams with 89 points. Capital University won the Men’s race, totaling 37 points. 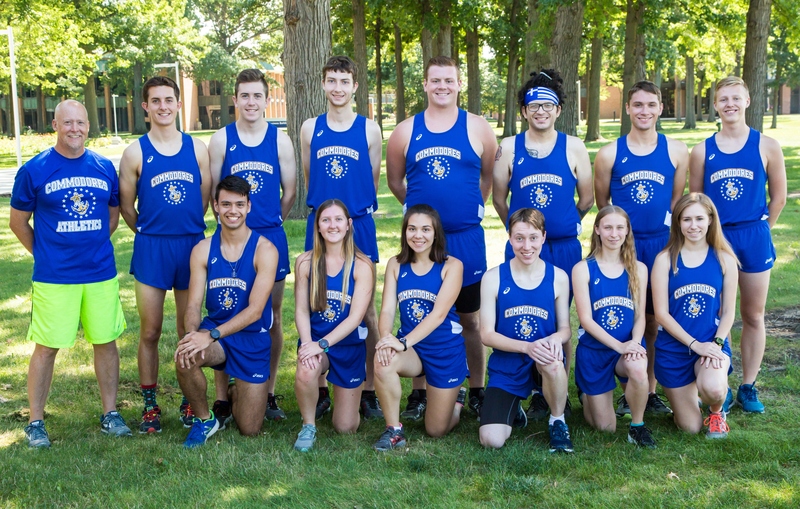 The men and women will compete next at the All Ohio Collegiate Cross Country Championship Meet hosted by Akron University on Saturday September 29th. The Lorain County Community College Commodore Cross Country team participated in the Penn State Behrend Invitational on Friday, September 14th. The Men’s team finished 7th out of 10 complete teams in the meet. There were also two incomplete teams. Micah Swartz of Lakewood (Lakewood High School) led the way for LCCC with a time of 28:52 in the 8K race. Gabriele Post of Avon Lake (Avon Lake High School) was the top Commodore finisher on the women’s side with a 23:43 time, good for 42nd place overall in the Women’s 5K race. The team will compete next Saturday, September 22 at the Columbus State Community College Invitational. The Lorain County Community College Men’s Cross Country team won the Bruce Bridgeman Invitational hosted by Finger Lakes Community College on Saturday, September 8th. The Commodores scored 45 points, finishing just ahead of host Finger Lakes Community College, who finished second with 53 points. There were 6 full teams and two incomplete teams in the race. Micah Swartz of LCCC was the individual champion, finishing the grueling 8K course in 29:57. Gabrielle Post led the Commodore women with a second place finish in the women’s 5K race with a time of 24:23. There was only one complete team on the women’s side. The Commodores compete next at the Penn State Behrend Invitational on Friday. September 14. August 31, 2018 — The Lorain County Community College Cross Country team kicked off the 2018 season at the College of Wooster Cross Country Invitational on Friday, August 31. This non-scoring meet included teams from Wooster, Baldwin Wallace and Malone. LCCC competes in the Bruce Bridgman Invitational hosted by Finger Lakes Community College next Saturday, September 9. 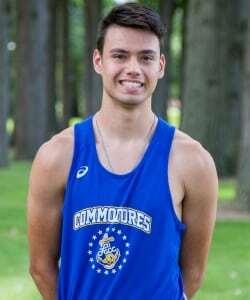 Three Lorain County Community College cross country student-athletes have earned Ohio Community College Athletic Conference (OCCAC) recognition. Cross country runner Micah Swartz (Lakewood/Lakewood) is the male recipient of the Scholar-Athlete of the Year recognition for the 2017-18 school year while fellow Commodore cross country representative, Gabrielle Post (Avon Lake/Avon Lake) and Erika Angstmann of Owens volleyball shared co-female distinction after a tie in voting from the conference committee. Swartz took home the Region 12 D-III cross country individual championship while knocking out a 4.0 GPA and grabbing several academic awards along the way. He was recognized as the Jack Zagrans Award recipient, given to the LCCC male student-athlete who best displays sportsmanship, athletic ability and academic success. Swartz is also a major factor in his local community, volunteering his time at a boys leadership academy and his church. Post garnered a 4.0 GPA while serving as Lorain County’s top runner all season, earning All-Region 12 honors and placing 19th nationally at the NJCAA D-III National Championship meet. Her top-20 individual performance lifted the Commodores to a fifth-place team showing, the highest in program history. The George M. Day Award winner – presented annually to the LCCC female student-athlete who best displays sportsmanship, athletic ability and academic success – is also very involved in the community helping out at a local dance academy and her church. Coach Jim Powers calls Kelley “the hardest working individual I have ever coached.” His dedication and hard work was an example for others on the team to follow. Jacob was also a tremendous asset as a team leader. He was the team spokesman, brought the group together during bus rides, kept the team together and in good spirits on trips. He also volunteered with his church youth group.